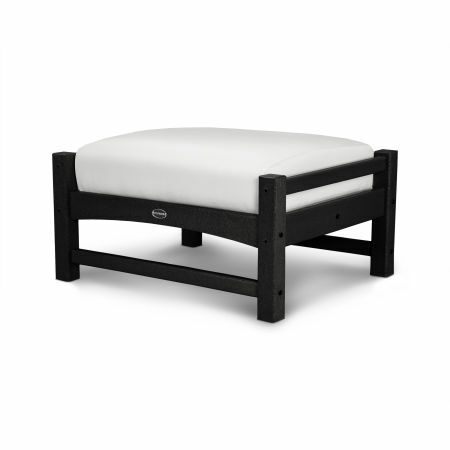 Share a peaceful moment with your sweetheart or gently rock your child to sleep in a POLYWOOD® outdoor glider. Rest your feet on one of our outdoor ottomans while reading the morning paper. 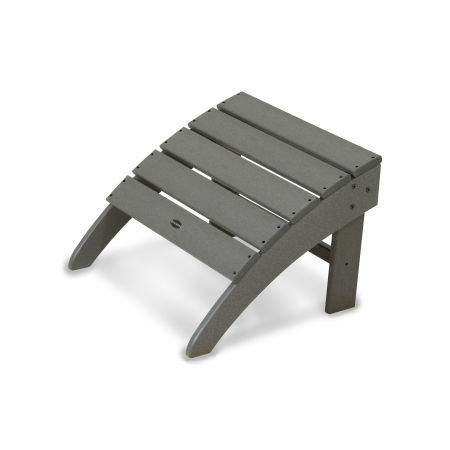 Complement the existing aesthetic of your outdoor space while opening up new possibilities with a recycled POLYWOOD® plastic glider or ottoman. Transform any space into a relaxing haven. Our gliders and ottomans are the perfect addition to your front porch or backyard, contoured for comfort while providing that signature soothing motion so you can unwind after a long day. All POLYWOOD® recycled plastic gliders and ottomans are available in a variety of design styles and lumber colors to match your exact vision for your outdoor space and are engineered for comfort. Better yet, they’re easy to clean and maintain, are fade-resistant and backed by a 20-year warranty. Why sit still when you can glide? Perfect for daydreaming alone or enjoying conversations with friends and family, our recycled outdoor plastic gliders combine soothing movement with tasteful style. 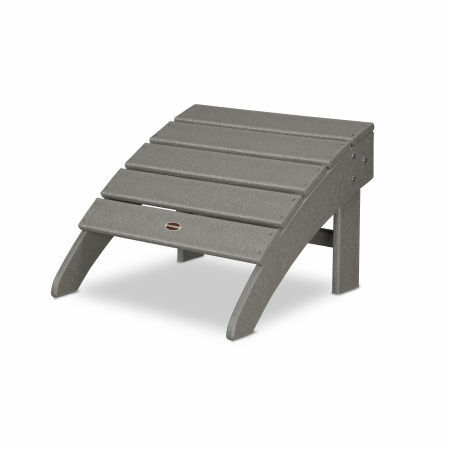 Choose from Traditional Garden, Chippendale, or Adirondack styles to complete your outdoor oasis in muted, natural tones like Sand, Slate Grey, and Teak. Your new glider will be the perfect addition to your private backyard hideaway. As with all POLYWOOD® products, our recycled plastic gliders are low maintenance and will look like-new for years to come. Rest your feet on our Classic Adirondack Glider Ottoman, a beautifully crafted plastic ottoman that accommodates your movement while rocking on one of our swings or gliders. For those looking to fully recline on our Adirondack chairs, we offer several curved and straight ottomans. If you prefer an ottoman with a soft top, try one of our cushioned ottomans with a sleek design and incredible comfort. Curl up next to your loved one under the canopy of your favorite tree or a thicket of vines, reading a book from the comfort of a POLYWOOD® bench. 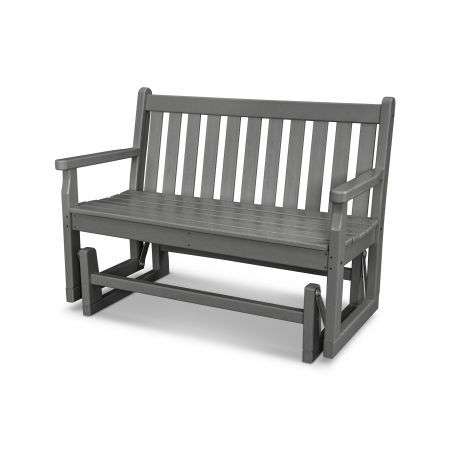 Our dependable genuine POLYWOOD® lumber is an excellent match for the natural environment, giving you more years of beauty and comfort that would otherwise rot or degrade natural wooden benches. Can’t make the final choice between a swing or a glider? Not sure what size bench will accommodate three people? We’ve demystified the buying process so you can settle on the ideal combination of POLYWOOD® poly lumber gliders, benches, swings, and ottomans for any outdoor space. Read our extensive buying guide to have all your questions answered.